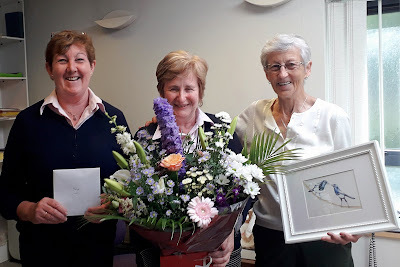 Patricia Talt has retired from the Kilcullen branch of Kildare Credit Union. She is pictured on her final day in the branch on Saturday last, with work colleagues Pat Clarke and Maureen Barker. "A dedicated and valued member of staff we give Trish our best wishes for the future," says Martin Burke, a Kilcullen member of the Board of Kildare CU.